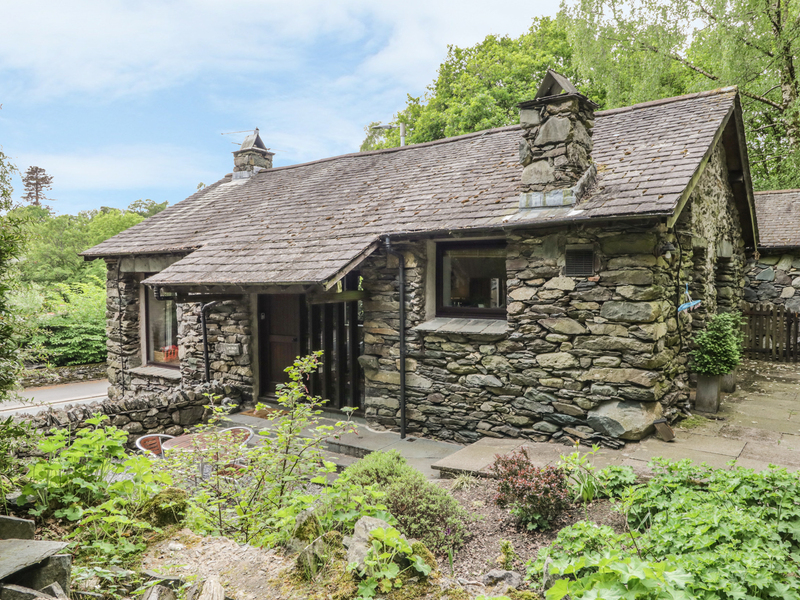 Low Brow Barn is a fabulous holiday home in the heart of The Lake District.. The barn has a large open plan living area opening onto the dining kitchen. Low Brow Barn sleeps 4 in two king size bedrooms which share the use of a bathroom. 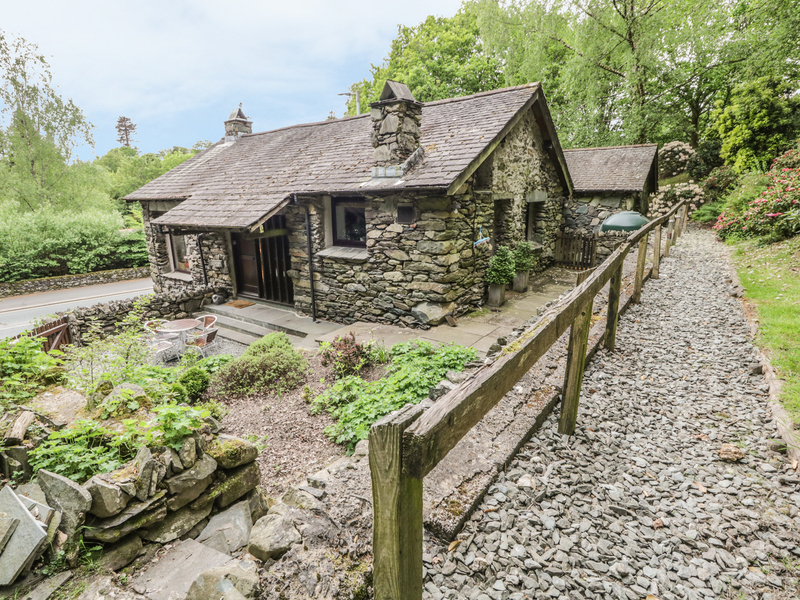 Outside there is a garden with patio areas with views over nearby Wansfell. Private parking for 1 car is provided at the property with more free off road parking nearby. Low Brow Barn offers wonderful first class accommodation throughout the year. All ground floor. Two bedrooms: 2 x king size doubles, bathroom with bath tub, overhead shower, vanity unit and WC. Open plan living area opening onto dining kitchen. Utility room. Underfloor heating plus wood burning stove. Electric Rangemaster oven and hob, fridge/freezer, dishwasher, microwave, washer/dryer, TV, DVD player, selection of DVDs, WiFi. Electricity and a supply of logs included. Bed linen and towels provided. Cot and highchair available. Off road parking for 1 car with further parking available nearby. (Please ensure your vehicle is not blocking the road.) Private lawned garden with two patios, furniture and BBQ. Two dogs welcome. Sorry, no smoking. All amenities at Ambleside, 5 mins. Lake Windermere steam launch 5 minutes. We also have details of 79 other similar properties nearby which might suit you.